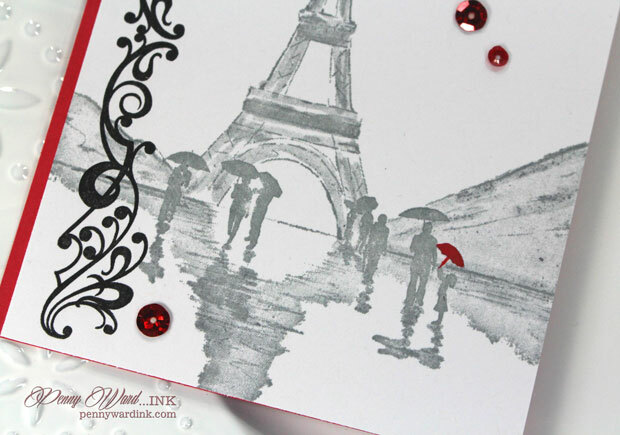 Penny Black's new collection includes this beautiful Brushstroke stamp of Paris. 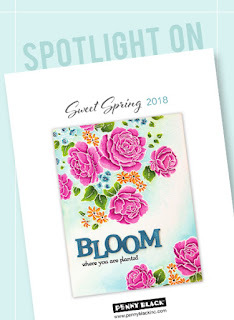 Admitting that I have never visited, this stamp will have to be the next best thing to admiring the beauty of the Eiffel Tower during a Spring shower. 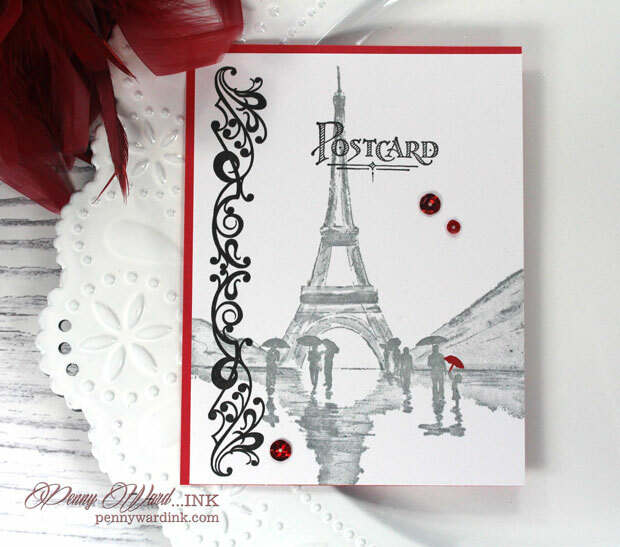 In Paris was stamped with Gray inks. Child's umbrella was colored with a Red pen. 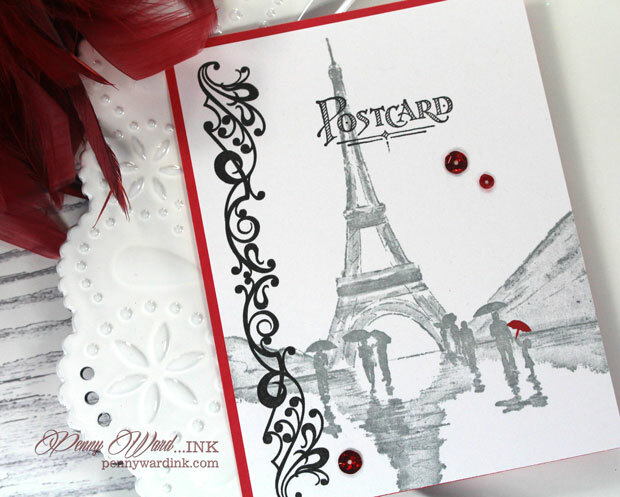 Flourish Borders was stamped along the edge with Black ink, as was the the sentiment section of Postcard stamp. 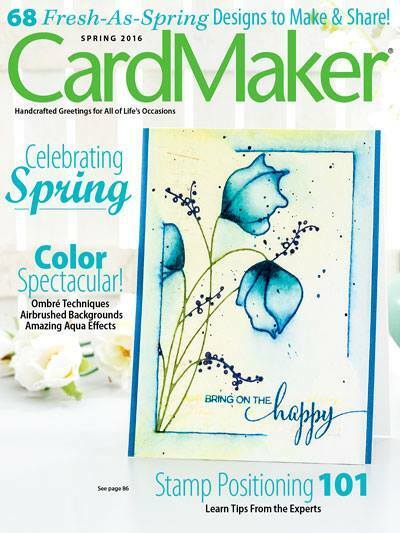 A red border along two sides and some pretty sequins finish this very simple to make card. for another creation using goodies from the Sweet Spring Collection.